Are you ready for Outside Lands this weekend?! Whether it’s your first or fourth time attending, there’s lots to do and see! 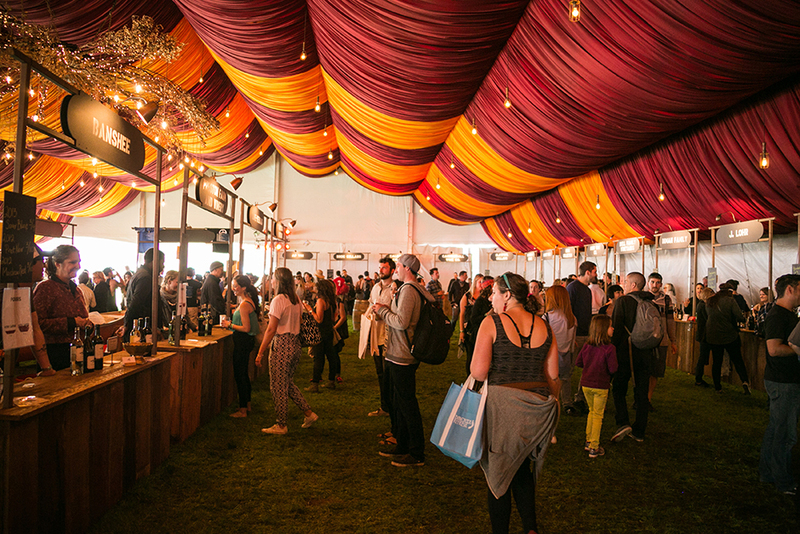 Navigating the festival is no walk in the park. ABCey has your local’s guide to make sure your experience is stress free! This year there is more than ever to do! Make sure you know the line up and schedule of events! You definitely don’t want to miss something because you didn’t do your research. 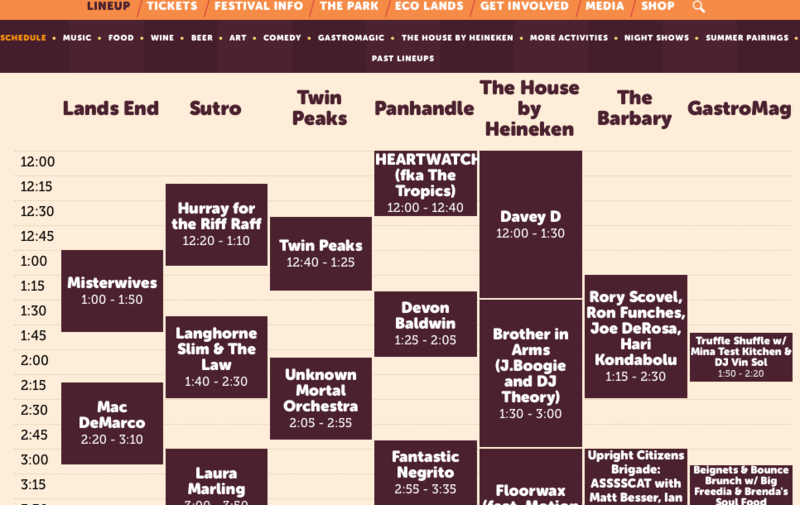 Get the Outside Lands App to help with all your planning. You can build your own schedule with all your personal picks and the app has everything in one place from food, event times and updates making it easy and convenient! There are a variety of ways to get to the festival. Drive, Uber, Muni or a 3-day shuttle pass! We suggest to bike for the best and easiest way to get there! 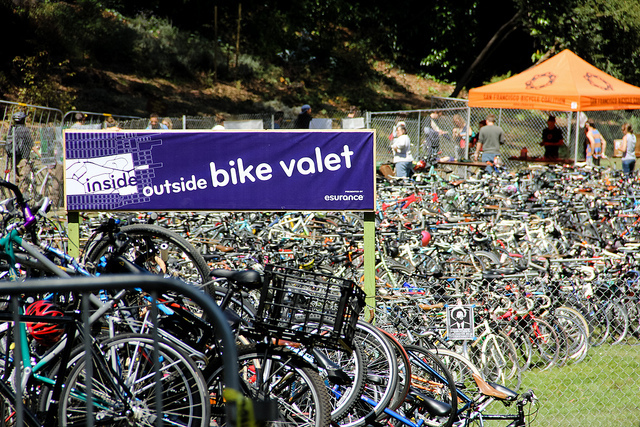 You can valet your bike at the festival and if you park between 10am and 8pm they’ll even hook you up with a free bike wash! Don’t forget to bring your own lock! Alongside the amazing musical acts will be some equally amazing food! There will be a massive collection of local vendors, food trucks, restaurant partners and carts. Longtime favorites, Namu and Pacific Catch will there again, but you definitely don’t want to miss out on some newbies including Sababa, The Monk’s Kettle and Rocko’s Ice Cream Tacos, and more! Set deep in the woods these are perfect spots to explore between sets! Since you can’t bring in your own alcohol, The Wine and Beer Lands are your alcohol stops! Both are stacked with fantastic options. Beer Lands will feature amazing local brewers like Anchor and Sierra Nevada and incredible micro-brewers that you should definitely try as well! Overall, there will be a staggering 32 breweries! This year Wine Lands (37 winemakers, 120 +wines) has a new home in Lindley Meadow and will be going completely cashless! Your wristband is your festival ticket and your digital wallet at Wine Lands. Find out how to create your cashless account and get your ‘Bison Bucks’ here. 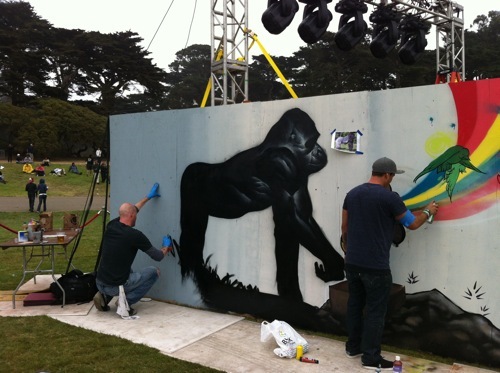 There are many reasons why Outside Lands is a festival unlike any other, but a big one is the art! With outside art, from artists like Amanda Lynn and Jeben Berg, live painting by Sam Flores and Zio Ziegler +friends and Dr. Flotsam’s Hell Brew Revue, you are sure to be stunned by some amazing masterpieces. The festival’s culinary entertainment is promising even more outlandish food stunts this year! Gastromagic is the celebration of culinary wonderment and the home for innovation around all things possible for food, drink, music magic and more. We can’t wait for Morimoto Karaoke, where Iron Chef Morimoto will be rolling sushi while singing Karaoke! For the full Gastromagic schedule click here! 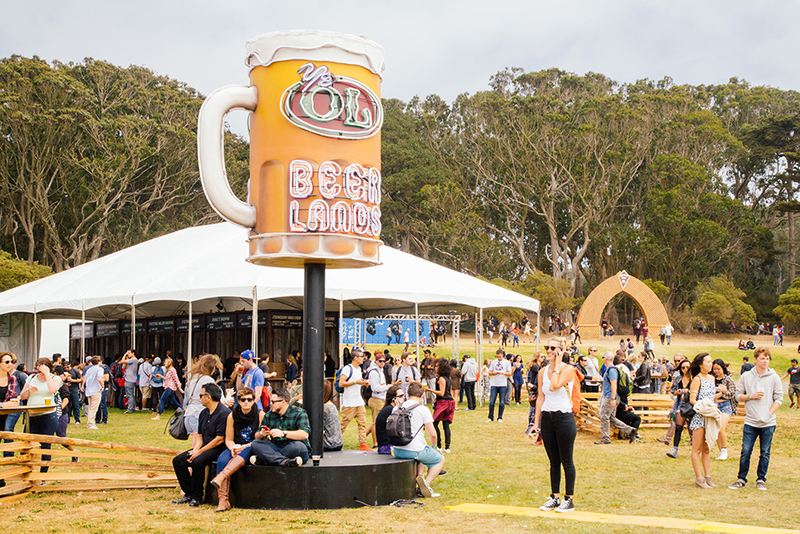 The Festival is jam packed with great music, food and comedy, but Outside Lands is also bringing you other can’t miss activities like The House by Heiniken, Castland by Chromcast, Beer Camp by Sierra Nevada, Aloha Sculpture by Oluki and more! 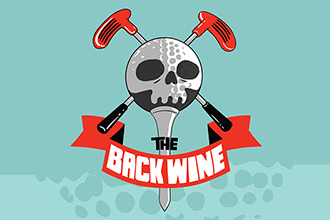 We are most excited for The Back Wine- Mini Golf Course! This new attraction will include a 3-hole mini golf course with each hole paired with a different wine tasting by Cannonball. In case you can’t get enough at the festival, there will be night shows around the city as well! 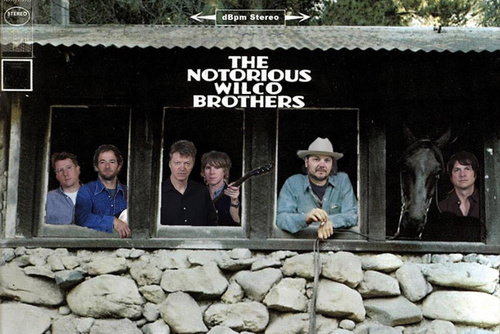 We are can’t wait for “The Notorious Wilco Brother” on August 6th. Few details have been released, but we know what every member of the indie rock band Wilco will be there. For a full list of performances, locations and to buy tickets click here! 1. Phone charging: Don’t worry about how to charge your phone, The Recharge Spot powered by Paypal has got you covered. They are stocked with a variety of phone chargers and you can even play a game for awesome prizes, get your face painted and more while you wait! 2. What to wear: Wear layers because one moment it can be warm and sunny, then winds gust and then next moment its foggy and cold. The weather changes quickly so be prepared! You can rent a locker to keep your things stored if you wish! 3. Cans/ Can’ts: Finally remember that you can’t bring in any alcohol, chairs, professional still cameras or hard coolers. Blankets, empty camelbacks or other plastic containers and selfie sticks are a go. Here is a full list of can and can’ts. Can’t make it this year? Don’t worry! This year Outside Lands will also be live streaming. 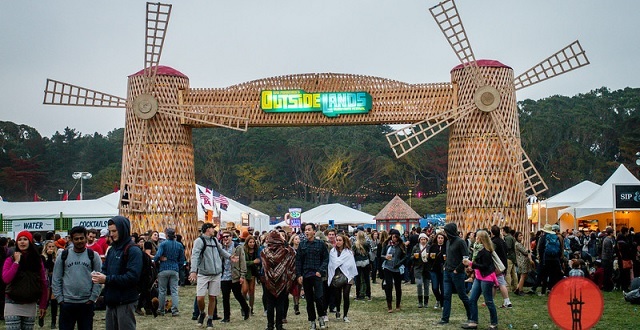 We hope you have an amazing time at Outside Lands! Let us know what you’re most excited for in the comments below or on Facebook and Twitter!